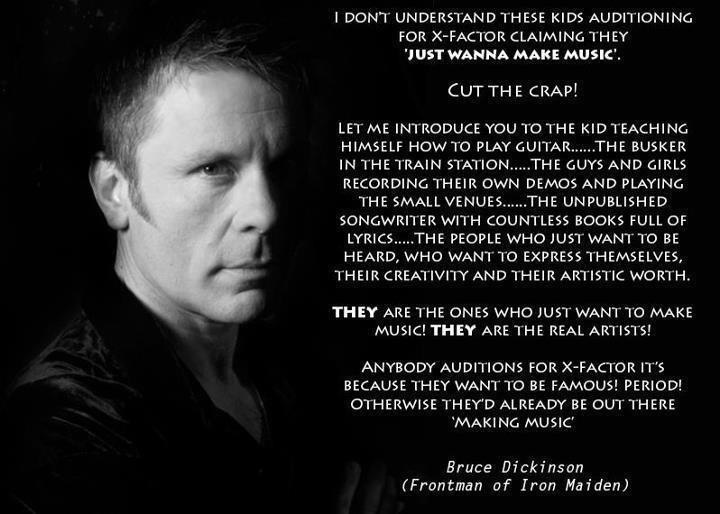 Bruce Dickinson of Iron Maiden Drops Wisdom. Recognize. I don’t even really know what to add to this. Bruce (if I may call him that) reminds us that fame whores are just that, and the people who want to express themselves aren’t waiting for Simon Cowell to high five them. They’re doing it now. You should too. ← First Saturday Night Event at the former Limelight is Up! Voodoo on the Bayou November 2nd!